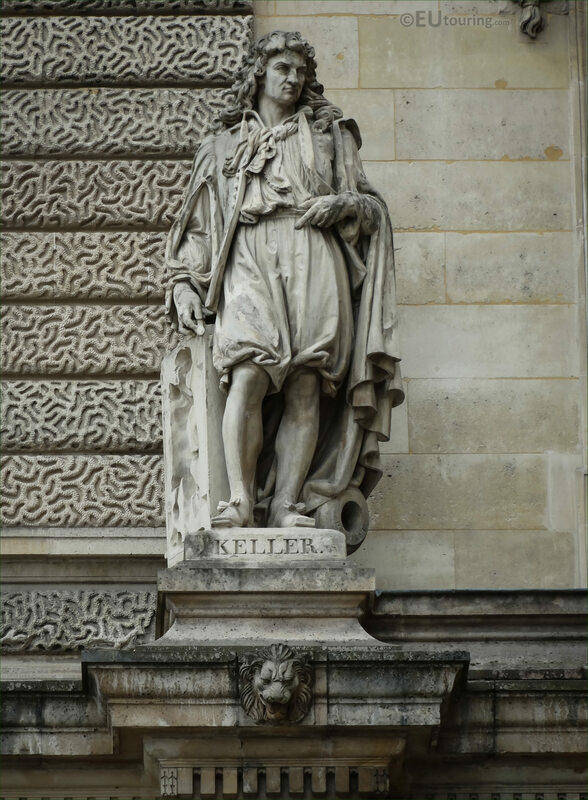 Again we were within the Cour Napoleon of the Muse du Louvre, which is the famous tourist attraction located in the 1st Arrondissement of Paris, and we took these high definition photos showing the statue of Jean-Balthazar Keller, sculpted by Pierre Alfred Robinet. 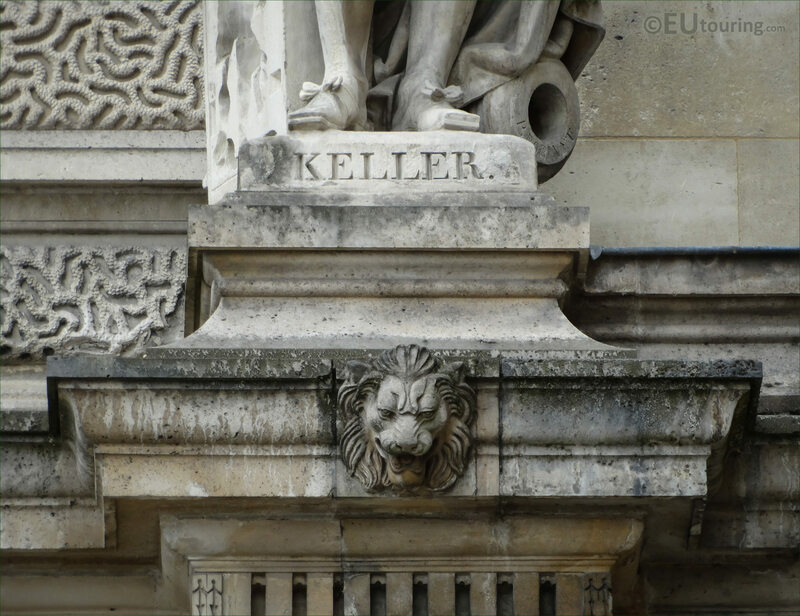 And this first image showing the statue of Keller, was taken looking at the first level of the Aile Henri II wing of the former Palais du Louvre, and to give you a perspective, this is the second stone statue from the right hand side as though you are looking at the facade from the courtyard. 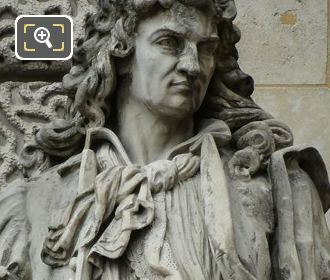 So this statue was produced by Pierre Marie Nicolas Robinet who was born in Paris on 1st October 1811 and presenting his works at different Paris Salons for French artists, he also received several commissions including some for the Musee du Louvre, which he initially sculpted in plaster before the execution of the stone statue. Now this statue is actually dedicated to Hans Johann Balthazar Keller vom Steinbock, who is best known as Jean Balthazar Keller that was born in Zurich in 1638, however he went to Paris to join his brother in a foundry for canons and artillery. 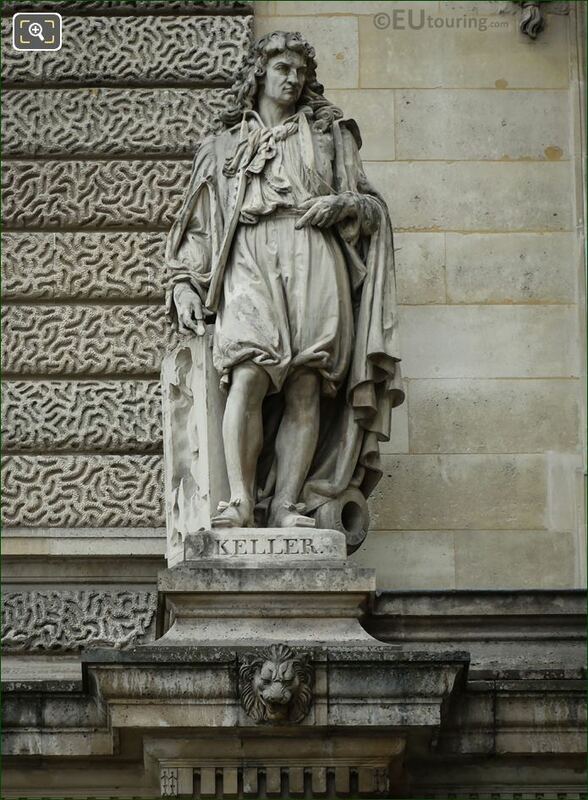 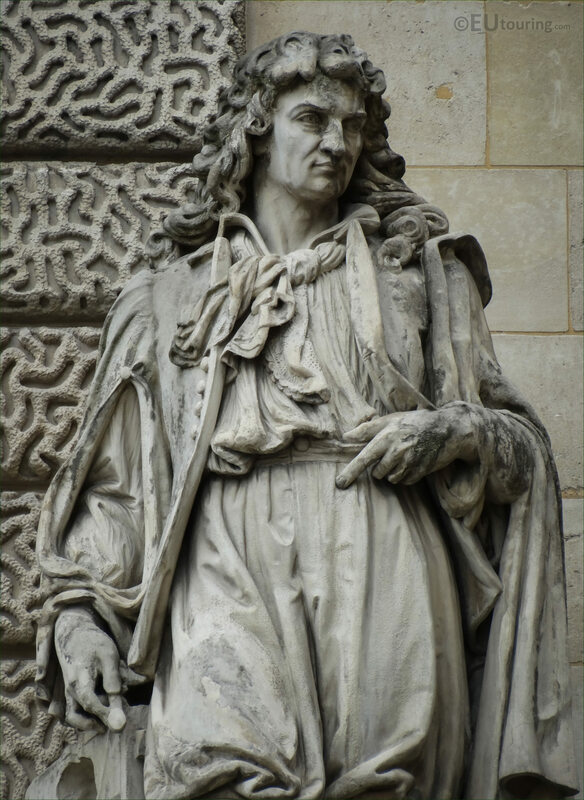 So even though Jean Balthazar Keller worked on producing arms for France with his brother Jean-Jacques Keller, he is renowned for being the first to cast statues in a single piece, just like the equestrian statue of Louis XIV and many for the Chateau de Versailles, which he continued to do until he passed away in Paris in March 1702.